Tsewang Namgail joined SLC-IT as its Director in 2013. He has an M.Sc. (zoology honours) from the Panjab University, Chandigarh, India, an M.Phil. In wildlife biology from the University of Tromso, Norway, and a PhD in community ecology from the Wageningen University in the Netherlands. Subsequently, he worked as a researcher at the United States Geological Survey (USGS) in San Francisco and Las Vegas, working on migratory ducks and reptiles in the Mojave Desert. He was also a postdoctoral scholar at the Pennsylvania State University. Dr. Namgail has supervised several graduate students in the Netherlands as well as in India. He was a visiting scientist at the Wageningen University in 2013-14. He has done pioneering ecological work on several taxa in the Himalayan region, focusing largely on birds and mammals in Ladakh. He has published over 20 scientific articles in international peer-reviewed journals. He also has written extensively on nature conservation issues in magazines and newspapers. Currently, he is co-editing a book on migratory birds in the Himalayan region for the Cambridge University Press. He also serves on the editorial board of two Springer journals. Apart from scientific research, he has a keen interest in conserving the natural resources of the Himalayas, and has implemented numerous community-based conservation programs in Ladakh. He has lectured widely in colleges and universities in India, Europe and the United States. 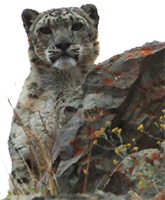 At SLC-IT, he provides leadership in developing and implementing science-based conservation for the betterment of snow leopards and their habitats. Jigmet Dadul was born in the Takmachik village in western Ladakh. He has a Bachelor's degree from the Panjab University, Chandigarh. At SLC-IT, he is responsible for implementing community-based conservation programs. Mr. Dadul monitors various community-based conservation programs such as the Himalayan Homestays, Livestock Insurance and the Handicraft Programs. He was trained in Community Sustainable Livelihoods at the RECOFT Institute in Thailand. He supervises volunteers in collecting baseline information on socio-economic conditions of the villages involved in community-based conservation programs. In the past, he has worked as a nature trekking guide, and has assisted several film crews from the New Zealand Natural History, Australian ABC and National Geogarphic in making documentaries on snow leopard and the natural history of Ladakh. 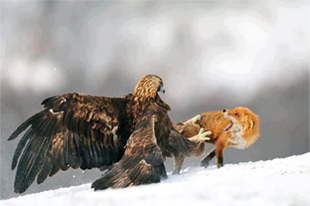 In 2014, he was awarded the Carl Zeiss Award for Nature Conservation. He is an excellent naturalist, and one of the best snow leopard spotters. Angmo has been working with SLC-IT since 2006, and as an education and outreach manager, she is responsible for the development and implementation of the snow leopard conservation education programs. She is actively involved in dissemination of Ri-Gyancha – a biodiversity resource kit for environmental educators in Ladakh. She is an excellent nature guide and a specialized bird watcher. Apart from several training in nature guiding, she attended an international course on environmental education in Amravati University in 2009. 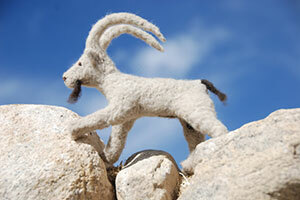 She conducts training and workshops in schools across Ladakh, apprising students of the flora and fauna in the region. Liaising with the education department and other concerned organizations for implementing the education programs is one of her primary responsibilities at SLC-IT. 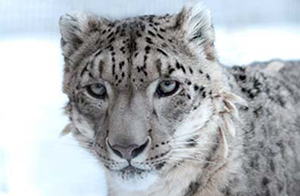 She also evaluates the success of snow leopard conservation education program. Last but not the least, she works with the Director to implement a strategic outreach plan for the organization. Rigzin has been managing the operations and finances for SLC-IT since December 2009. She manages and coordinates various activities for the Handicraft projects, livestock insurance and the Himalayan homestays. She assists in development and maintenance of reporting procedures, and oversees maintenance of office records. She also promotes the volunteer program at the organization, and ably answers all queries from potential interns and volunteers from across the world. She also helps in the logistics of training, workshops and meetings with various stakeholders, including villagers. She assists the Director in developing budgets, policies, guidelines, and priorities for the organization. She has been working in the social sector for eight years, mainly in the fields of natural resource management, watershed, health and education. A committed wildlife enthusiast, Rigzin is a regular volunteer with women's health programs and women's issues. For her work in the social sector, she was conferred with the National Youth Award in 2009. Skalzang joined SLC-IT in 2010, and has been assisting us with various programs in Zanskar. He is the coordinator of conservation and education programs in Zanskar, and also manages the field office in Zanskar. He was born in the Royal Family of Zangla. He is also an avid adventurer and can climb steep mountains with great ease, be it at any altitude. He is a trained naturalist, and occasionally leads snow leopard tours. He worked as a snow leopard spotter for a BBC filming crew for two consecutive winters. He liaises with local communities in Zanskar, and assesses their needs and aspirations through participatory workshops. He helps with the logistics of training and workshops for villagers. Kalzang Chosphel joined the SLC-IT team in September 2012 as a Field Assistant in Zanskar. Mr Chosphel was born in the Royal Family of Padum, Zanskar. He did his schooling from Govt. High School, Padum, Zanskar, and obtained a Bachelor's degree from Jammu University through correspondence. Before joining SLC-IT he worked at SECPAD Middle School, Zanskar, as a contractual teacher. Mr Chosphel has also completed a basic course in computer science at Leh. In his free time he likes listening to music and reading novels. Chosphel aslo helps interns and researchers in the field. Nawang joined the SLC-IT in 2012. He helps with all the training and workshops for the villagers, especially all the logistics. 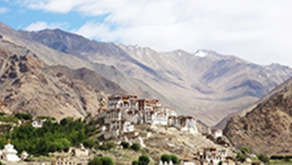 He has a keen interest in the nature and wildlife of Ladakh, and has a wide range of experience as a nature guide. 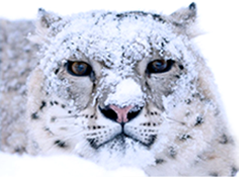 He worked as snow leopard spotter for a BBC filming crew for two consecutive winters. Nawang helps in setting camera traps and downloading pictures. He also assists researchers in the field. Nawang is a great dancer and often entertains us in the field. Tsering Lazes is from the Nubra valley. She has been working with SLC-IT since 2007, and she is responsible for managing our daily office activities. She helps the General Manager in bookkeeping, and reporting. Ms. Lazes also manages the souvenir shop, and helps in marketing the woolen products of women from areas with high human-snow leopard conflict. She also maintains and manages our library, and is responsible for entering data gathered during field surveys.